The adventure opportunities in California are seemingly endless. There’s only one problem – time. With only so many vacation days available each year, the majority of us outdoor-loving folk have to cram in all of the fun stuff on the weekends, or at best, a long weekend here and there. So weekend warriors, this one’s for you. Whether you’re looking to go completely off the grid for a few days, or you’re just in need of a good adrenaline rush, we’ve rounded up a few of the most adventurous weekend getaways in California. These trips are a little off the beaten path, a little more extreme, a little wilder. There’s nothing quite as extreme as the temperatures that soar in Death Valley National Park, but if you visit during the winter, the daytime temperatures are usually quite pleasant. The key to having a more adventurous time in Death Valley is to go off the grid. That means steer clear of the large RV campgrounds (unless that’s your thing), and give backpacking a try. 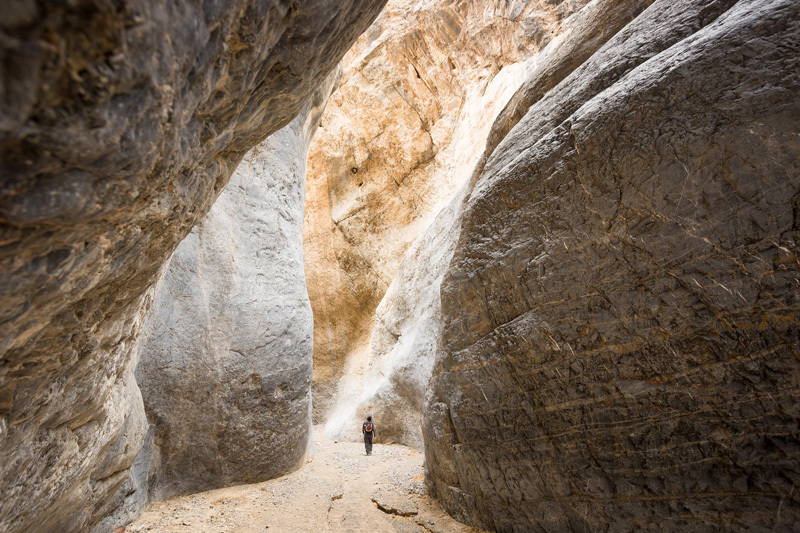 The strenuous 26-mile Cottonwood-Marble Canyon loop hike offers respite from the sun by offering plenty of shade as you maneuver through narrow slots and towering marble walls. On the shorter, but equally challenging, 10-mile out-and-back Surprise Canyon trek, hikers can maneuver along (and sometimes in) a perennial stream bed, past several waterfalls to the abandoned gold mining town of Panamint City. 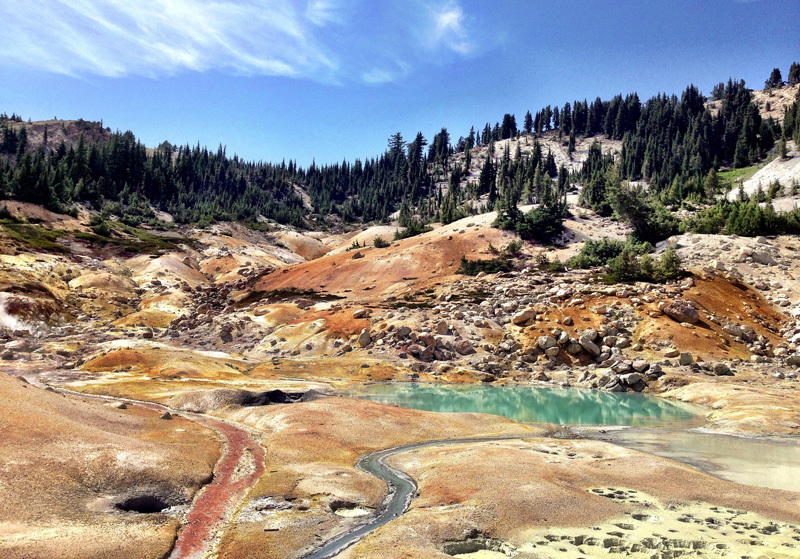 One of the most remote national parks in California, Lassen offers solitude and geothermal wonders to gawk at for hours. Lassen Peak, an active volcano that serves as the park’s scenic centerpiece, is a quick and easy summit in the summer. It’s a 5 mile round-trip hike and features just about 2,000 feet of elevation gain. In the winter, rangers offer guided snowshoe trips through the park and visitors can feel like they have the winter wonderland almost all to themselves. Camping in the park is the preferred lodging for most visitors to the area, although there are some nearby accommodations that require a bit of a drive. You can’t talk about California adventures and not include American River rafting. If you crave a heart-pounding weekend, you can tackle multiple forks of the river back-to-back on a South Fork/ Middle Fork combo trip. Spend the first day easing into the whitewater action on the popular Class III Gorge run on the South Fork of the American. 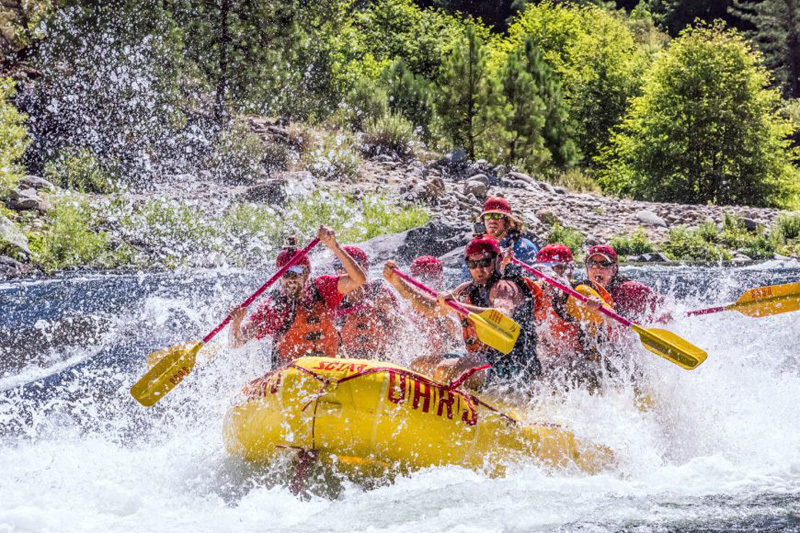 On day two, head deeper into the wilderness of the American River Canyon for big thrills on the Class IV+ Middle Fork of the American River. This scenic stretch of river is best-known for notorious Tunnel Chute, which rafters encounter just minutes after launching, followed by other raucous rapids like Chunder, Texas Chainsaw Mama, and Final Exam. There are numerous outfitters, camping and lodging opportunities available in the area, but if you go with OARS, you’ll receive one night of free riverside camping before or after your trip, plus 10% off when you book online. The eastern slope of the southern and central Sierra is a completely unique place, with towering, jagged pinnacles of rock, sweeping vista points, and some of the most interesting geological formations around. It’s also where you can find the tallest peak in California (and entire Lower 48). Mount Whitney tops out at 14,505 feet and hikers must cover 6,130 feet of elevation gain to reach the summit. Most people opt to hike Mt. Whitney during the summer months when permits are required. If you can’t snag a coveted Mt. 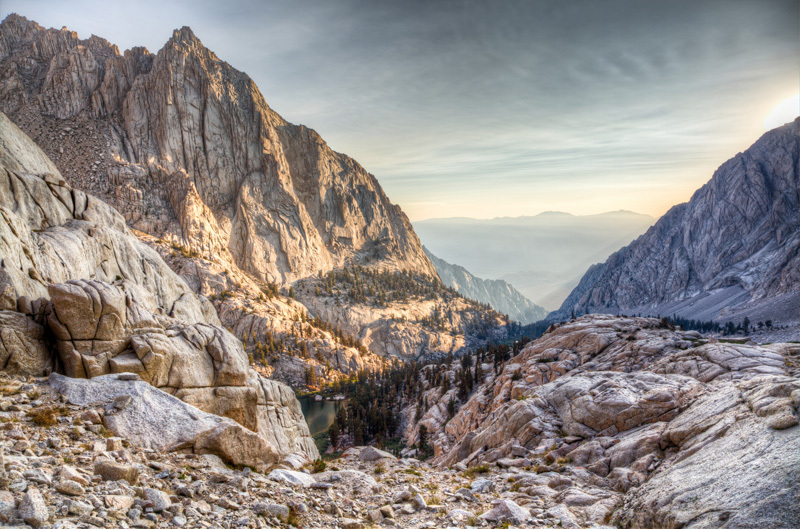 Whitney permit, there are comparably challenging hikes with equally as stunning views located up and down the Eastern Sierra. Not to mention, the region is dotted with hidden hot springs ripe for long sunset soaks. Looking for lodging in this part of the state? Camp in one of the many Inyo National Forest sites, or check out the Mammoth/June Lakes areas for rustic Airbnbs and condos. The area of California coastline through the King Range National Conservation Area is so steep, and so rugged, that roads were never built through it, making it the only stretch of the state’s coast that’s not touched by Highway 1. It’s a backpacker’s dream come true. 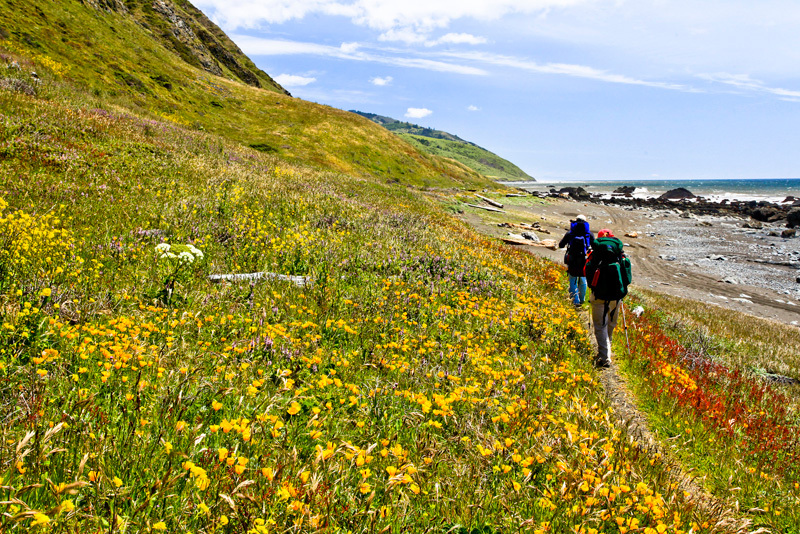 Most people spend three days leisurely hiking the 25-mile Lost Coast Trail on foot. Most of the trail just follows the beach, but hikers will need to do their research because several stretches can only be crossed at low tide. Several shuttle servicesare available to take hikers to the trailhead, allowing them to leave their cars at the end point.